A wonderful variety of lovely whites and pinks embellished with emerald foliage. This gorgeous mix with a soft and summery feel will enhance any room whatever the occasion. This arrangment is ideal to let that special someone know how much they mean to you. 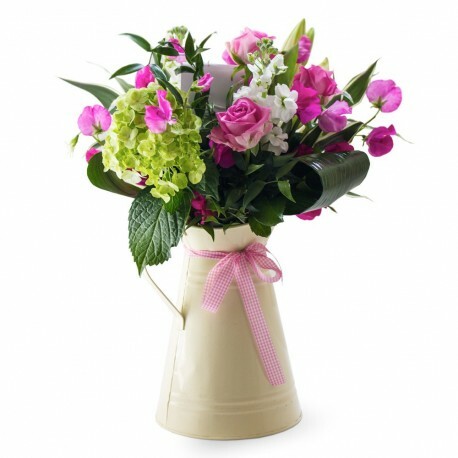 Delivered by your local florist, comes as an easy to give gift suitable for all.